Can I create executable flipping book app can run on MAC? 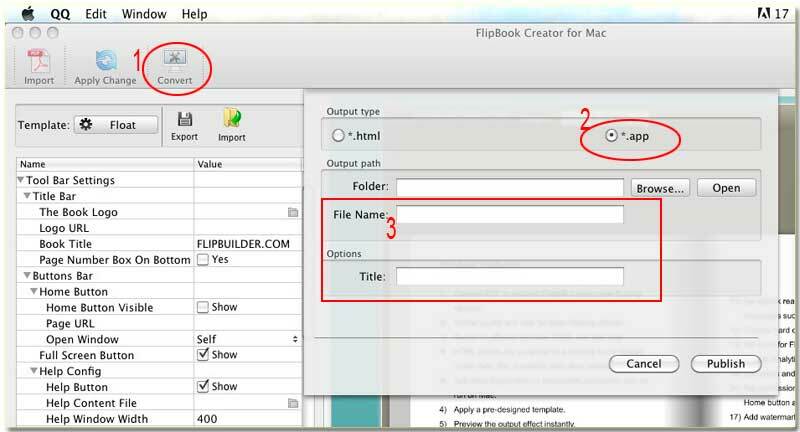 Step1: Launch FlipBook Creator for MAC, and then import a PDF file. Step2: Edit this imported PDF and make all necessary interactive facilities fit together. Step3: Click icon of Convert on top menu line, and then check the output type of .app. After app created, you should double click it to install, and then review its stunning flipping effect. It is so attractive that not only you but others love it.